I am having a bit of a love affair with popcorn at the moment. Propercorn’s Chocolate popcorn has certainly triggered my addiction all over again and I have since been buying popcorn every time I see it. 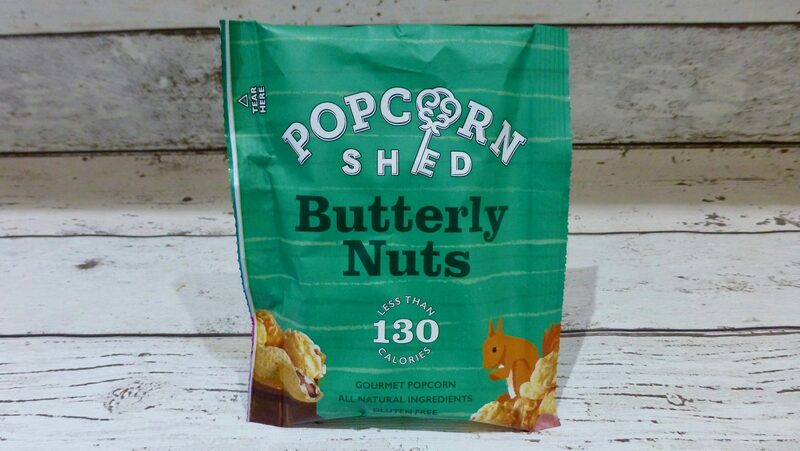 Popcorn Shed is one of those brands I have wanted to try for quite some time however have never actually got around to buying it – I am not sure why because they have some delicious sounding flavours. That being said Ocado has come to the rescue and today it is all about Popcorn Shed Butterly Nuts. Normally these come in 80g boxes however Popcorn Shed have been clever and given us little snack bags. I have brought a few of their snack bags to try however this is the one I was most excited about as in essence it is peanut butter popcorn, and we all know how I feel about peanut butter! Using all natural ingredients, Butterly Nuts is suitable for vegetarians and is also gluten free. Coming in at £1.50 it is just that bit too expensive for me especially when I opened it and thought really, is that all the popcorn you are giving me! Looks alone I want to dive right on in there. Thankfully the taste matched the heavenly smell of sweet and salty peanut butter. Each kernel was popped and had a crunchy glossy caramel outer glow to it, which made me want to eat it even more. The flavour was pretty incredible, balanced well and tasted of creamy peanut butter which really is the main plus point. 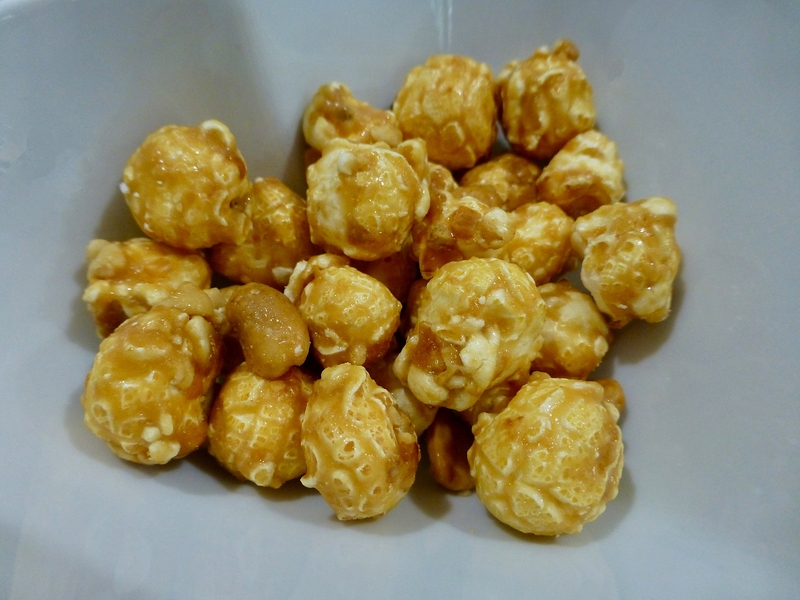 There were also little coated peanuts hidden within the popcorn which gave an extra hidden peanutty flavour. I really did love this bag of Popcorn Shed Butterly Nuts and it left me wanting more of it. There is no questioning the quality or flavour but the size and price do not go hand in hand for me. I understand that it is only a snack pack which is fine but for the price I think a few more kernels in there wouldn’t have gone a miss.